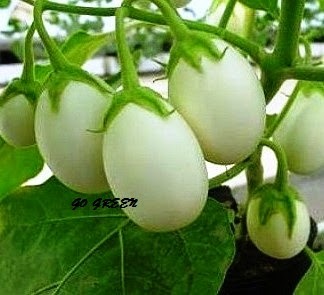 The Aubergine or eggplant is a native plant of India and China, is actually a fruit. 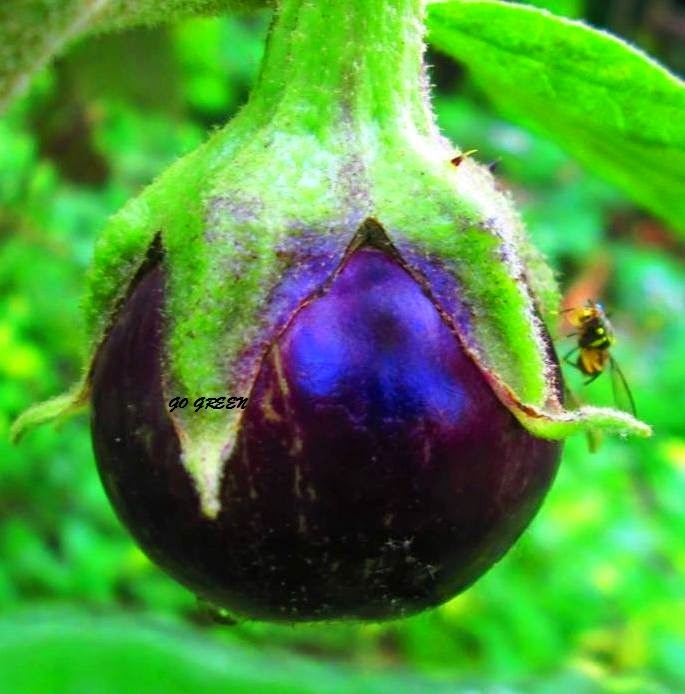 Like many fruits in order to achieve wide spread dispersal of the seeds it carries it has to advertise the fact by making itself visible against the green foliage - hence the dark purple colour of the skin. There is a general rule that the greater the richness of colour of a fruit or vegetable, the more powerful its potential effect on health. 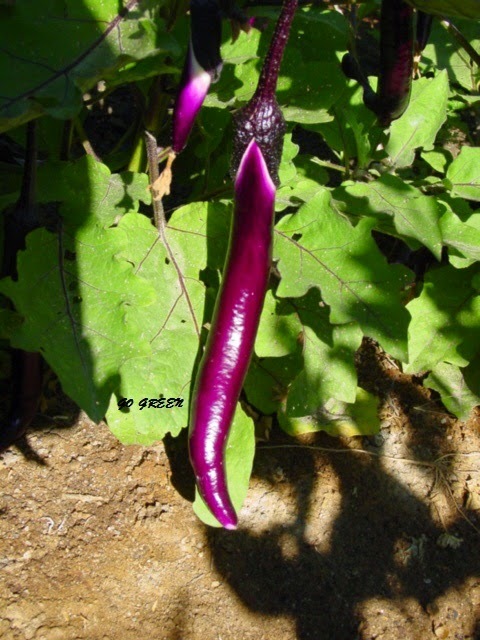 It thus comes as no surprise that it is the purple pigment of the fruit that is of most interest to scientists. 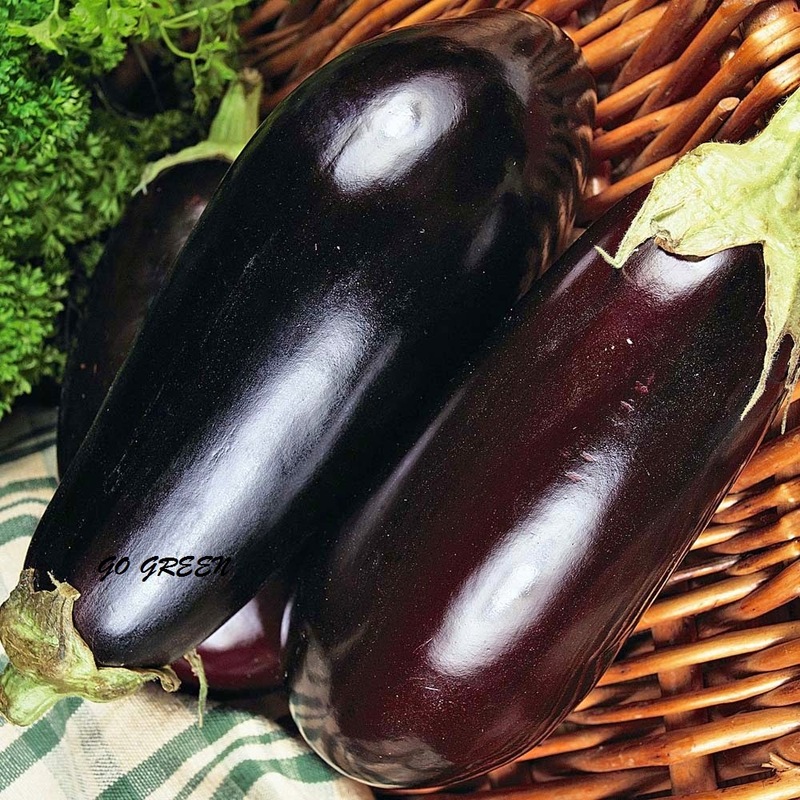 Antioxidant Potential - This deep purple skin colour is due to [anthocyanin] pigments with known antioxidant activities. 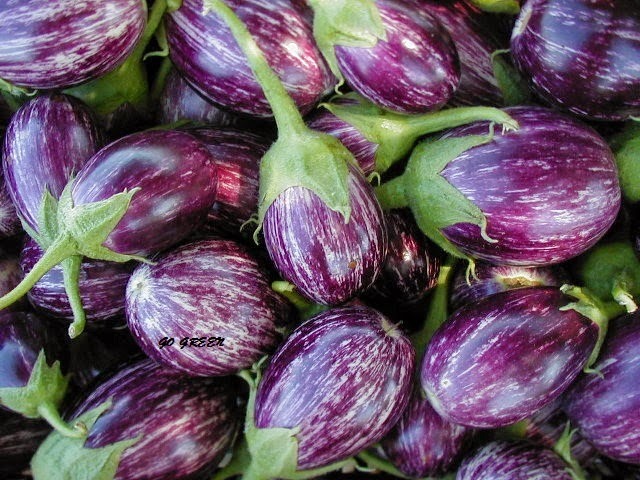 The specific form in aubergine is called nasunin and has been shown to be a potent scavenger of free radicals - powerful [oxidants] and a major cause of age and lifestyle related diseases. 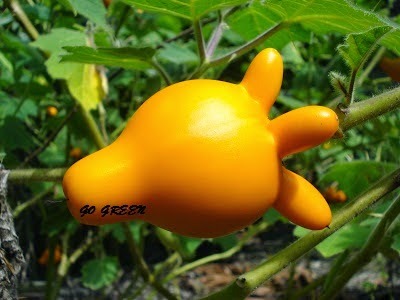 Nusumin is also reported to have anti-angiogenesis activity, that is it blocks the development of new blood vessels. 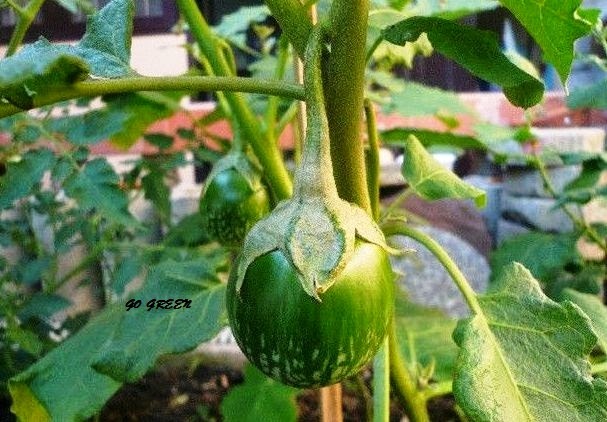 The development of a good supply is a characteristic of cancerous (malignant) tissues and thus it has been suggested that nusumin may have anticancer properties. 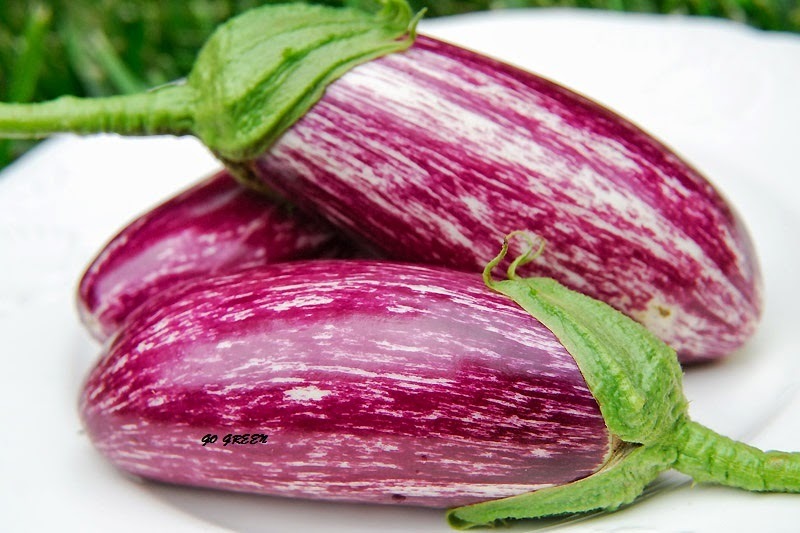 Lowering Cholesterol - The flesh of the aubergine is white due to a lack of pigments and is only a moderate source of vitamins, however there are reports that aubergine extracts can have a significant effect on lowering blood cholesterol. Let's try them now! I don't see any listing of price or shipping cost. 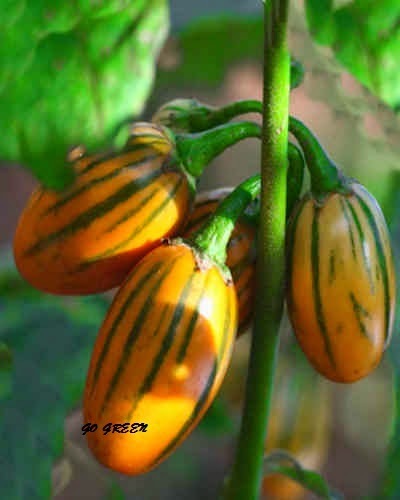 Mind posting those, please, for the Striped Togo eggplant? My Google addy is incorrect, so if you can't post the info here, please send it to bluezinnia50@yahoo.com . Thanks!